Oklahoma Connection | Everest came to Oklahoma City, Oklahoma, in 1899 with his parents. Harvey Everest owned and piloted an airplane and was an investor in Braniff Airlines. He flew airplanes with Charles Lindbergh and played bridge with U.S. President Lyndon Johnson. Harvey Pettit Everest was born in Kansas and moved with his family to Oklahoma City in 1899. His early school days were spent at Irving and Lincoln grade schools, and after graduating from Central High School in 1913, he entered the University of Oklahoma in Norman. That education was cut short due to the great success of his company, Mid-Continent News Company. He retired and sold that business to his son in 1955 to begin a career in banking and was named president of Liberty National Bank and Trust Company. Mr. Everest’s community service work began in 1923 for the Community Chest, the forerunner of today’s United Way. He later launched the Sunbeam Home and Family Service, a home for children, and formed Goodwill of Oklahoma. 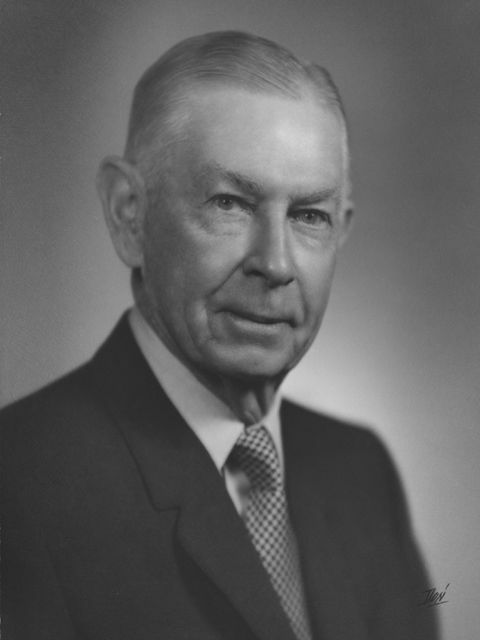 He was chairman of the board of Phillips University in Enid in 1928, and was one of the founders, and later chairman, of the Oklahoma Medical Research Foundation. Everest held more than 120 positions with different organizations during his sixty years of civic and church involvement. In the 1940s Mr. Everest was instrumental in forming the first Council in Oklahoma of the National Conference of Christians and Jews and was a lifelong member of the First Christian Church, founded by his uncle in 1879. See pictures of Harvey Pettit Everest and other media HERE.